Though the 2014 MLB season is barely two weeks old, some players have jumped out of the gate in fine mid-season form. In Yankee country, a rookie named Yangervis (Solarte) has made most of the team’s players seem complacent by posting a .429 batting average (.643 slugging percentage) through the first games of the campaign. Out West, Angels star Josh Hamilton appeared to have resurrected his career before landing on the disabled list with a thumb injury. Prior to hitting the DL, Hamilton had put up a .444 BA (.741 SLG) with 7 runs scored. These fantasy baseball dream stat lines are only the tip of the iceberg when looking at the players off to torrid starts in 2014. Here are five MLB mashers who are punishing opposing teams in the earlygoing. If you like your “TrumBombs” in heavy doses, it’s been a fun start to the 2014 season. Mark Trumbo cracked his trademark moon shots in four straight games during the season’s first week. In fact, he’s taken quite well to his new home in Arizona. 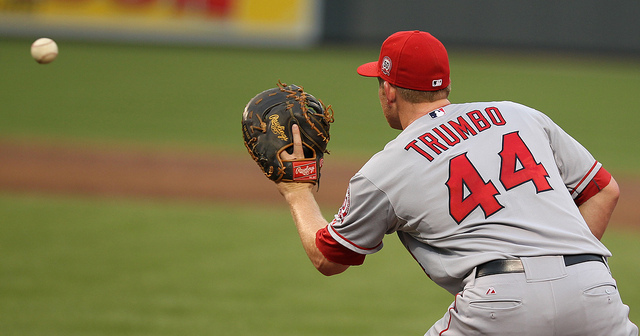 Through 11 games, Trumbo was leading all MLB with 5 home runs and 13 RBI. Traded to the Diamondbacks in the offseason by the Angels, the 28-year-old Trumbo hit his career high of 34 home runs in 2013. Will he shatter that personal best and make Barry Bonds nervous about his all-time home run mark? Just for giggles, Trumbo projects to hit about 73 home runs and drive in 195 RBI at this pace. The Diamondbacks gave up pitching to acquire Trumbo’s power. They’re getting their wish thus far in 2014. Chase Utley has been declared “old” and “done” so many times it probably makes Derek Jeter smile about his excellent treatment in the press. The Phillies second baseman appears dead-set on silencing his critics in 2014. 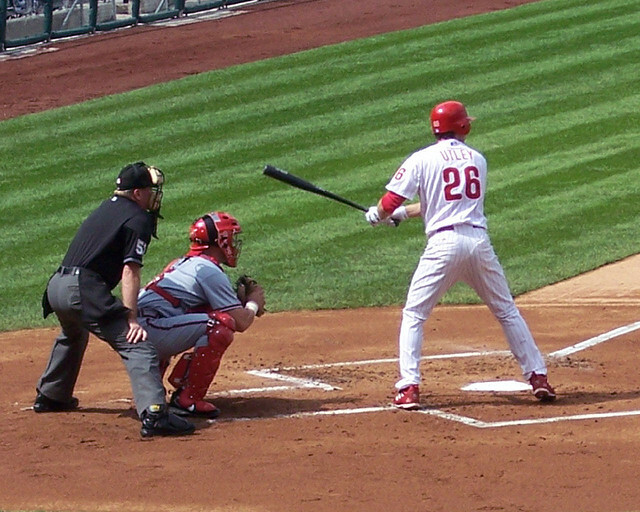 Through April 9, Utley posted a .458 batting average with 2 home runs and 6 RBI. He was also leading the Major Leagues with a frightening .833 slugging percentage and 1.369 OPS (on-base percentage plus slugging). As the announcer John Sterling would say, those are slow-pitch softball numbers. Some critics of the Phillies balked at the two-year contract extension the team awarded Utley last summer. So far, it appears prescient. The power artist formerly known as Mike Stanton has been a one-man wrecking crew for the team formerly known as the Florida Marlins. Stanton has posted a .324 BA and posted 13 RBI (tied for MLB best) through the first nine games of the season for Miami. 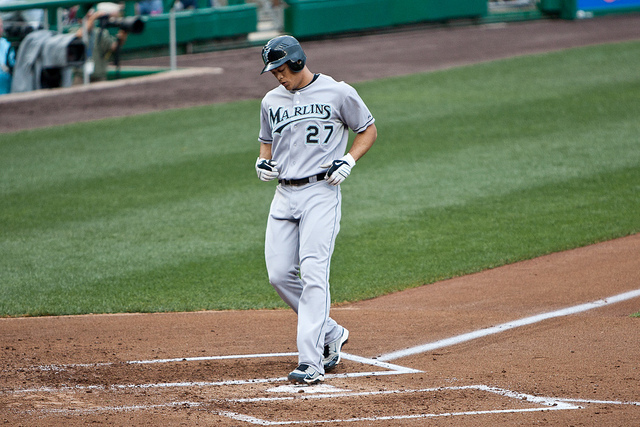 Standing at 6-foot-6 and weighing in at 240 pounds, Giancarlo Stanton casts an imposing shadow in the batter’s box. He’s definitely the guy in the Marlins lineup opposing teams ought to pitch around, especially the way he’s hitting at start of the 2014 season. Giants first baseman Brandon Belt has been a solid player for San Francisco, but he’s rarely in the sort of “beast mode” he’s tapped to start the 2014 season. 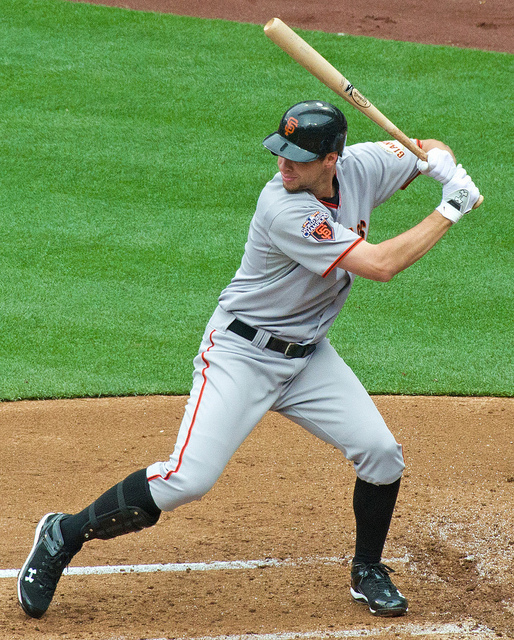 Through nine games, Belt has mashed 5 home runs (tied for MLB best) and driven in 9 RBI with 9 runs scored. Add that to a .324 BA and .700 SLG, and you have an early MVP candidate. Michael Morse, Angel Pagan, and Buster Posey have also gotten to blazing starts for San Francisco, but Belt’s numbers top the list. 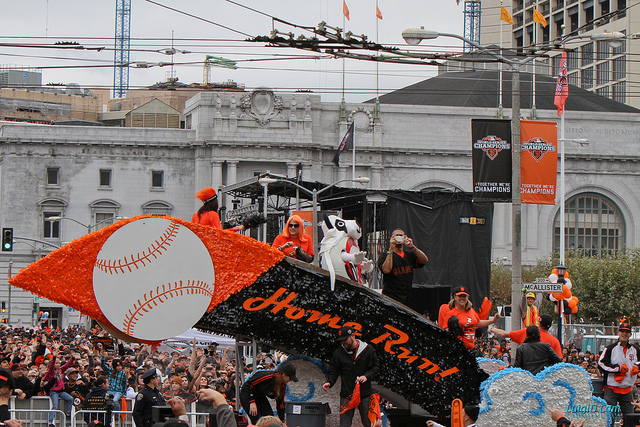 The pitching-first Giants just aren’t used to this sort of offensive assault. Jose Abreu, the 27-year-old import from Cienfuegos, Cuba, is showing he feels quite comfortable in Paul Konerko’s old spot at first base in Chicago. 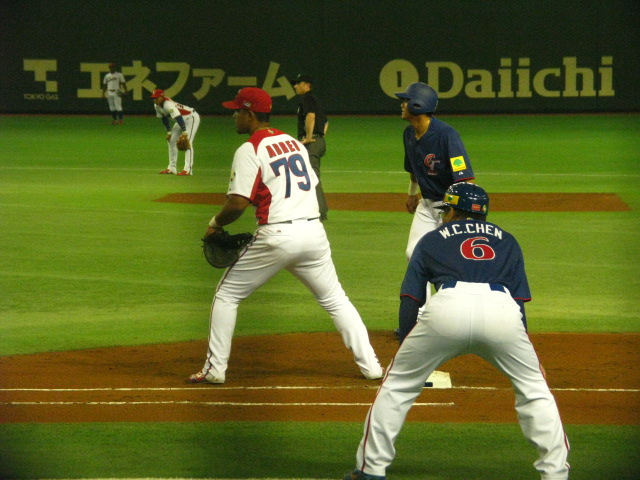 In fact, Abreu has gotten off to the type of start players dream about when arriving in Major League Baseball after a successful career on foreign soil. Through nine games, Abreu is hitting .278 with a .372 on-base percentage, 6 extra-base hits, and an AL-best 11 RBI. White Sox brass raised a few eyebrows when signing Abreu to a six-year, $68 million contract in the offseason, but the Cuban slugger’s upside was too good to ignore. In one season in Cuba, he hit .448 with 37 home runs in 77 games. At least in the earlygoing, Abreu looks like a steal for Chicago.